Why Choose A+ Letter Service? 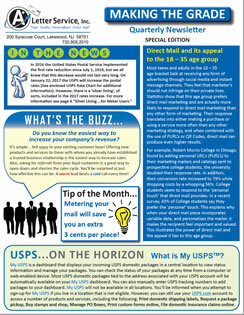 Our Free special report is packed with useful "tips" and "ideas" on how to get the most value from your marketing dollar. To find out what separates A+ Letter Service from our competitors, check out our insightful and informative YouTube video. Get to know why A+, with over 29 years of experience, truly is the one-stop letter shop for all of your marketing and mailing service needs. 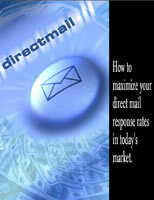 Want to know what's Trending now in the world of Direct Mail? For the latest industry trends and to keep up with what is happening in the ever changing world of postal regulations, requirements and rates check out our quarterly newsletter. Find out how to incorporate the latest advances in technology, so that you can keep up with the newest marketing trends, tools and concepts. Take advantage of our 29 years of experience in Direct Mail Marketing and let us help you to get the highest return on investment from your marketing dollar.